This is how you can easily get free shipping with cash on delivery on the popular Souq marketplace and online shopping site, nationwide to anywhere in Kuwait. Your options for free shipping are not very clearly visible on Souq.com, however on a limited range of items fulfilled by Souq, free deliveries are supported. Make sure that you are on the “Kuwaiti version of Souq” (click here). When searching for items that you are looking for, select “fulfilled by Souq — eligible for fast shipping” under “show only” options on the menu on your left. This will increase your chances of finding items to purchase with free shipping. Also, you can try selecting “ships from UAE” under “international Shipping” for better results. Warehouses in UAE are biggest and have the best support. You can quickly go to the product page by clicking on the “quick view” button on top of the image of the item. There it will display: “your order qualifies for free shipping!” for eligible items. This is the quickest way to check shipping support. If you are using COD (cash on delivery), it’s good to note that you will need to verify a Kuwaiti mobile phone number, but it’s all that is required. 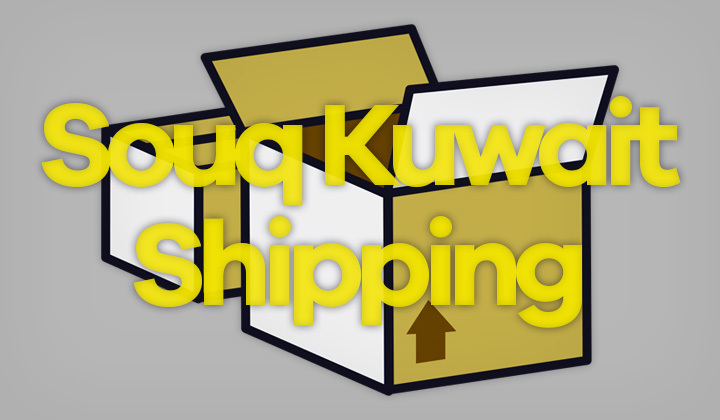 Please, make sure that your address in Kuwait is eligible so that it can calculate and estimate shipping fees accordingly. If you have any problems with your address I highly suggest contacting support for any issues you may have with purchases. When free shipping is available, you can have the items delivered to any of the following cities, areas and locations in Kuwait (not limited to). Khairan City, Nuzha, Ahmadi, Adiliya, Maidan Hawalli, Mangaf, Nigra, Jabriya, Shu’aiba, Aqila, Dasma, Hittin, Jibla, Sharq, Abdullah as-Salim suburb, Rigga, Keifan, Sabah al-Ahmad Nautical City, Mubarak al-Kabeer, Fahaheel, Mubarak aj-Jabir suburb, Rawda, South Surra, Sabah as-Salim suburb, Hadiya, Ali as-Salim suburb, Kuwait City, Khairan, Salwa, Surra, Da’iya, Bneidar, Salmiya, Qadsiya, Qurtuba, Sulaibikhat, Khaldiya, Agricultural Wafra, Ghirnata, Zoor, Miqwa, Shuwaikh, Abu Hulaifa, Mishrif, Fahd al-Ahmad Suburb, Qurain, Doha, Mahbula, Hawally, Sha’ab, Sabah al-Ahmad City, Sabahiya, Wafra, Jabir al-Ali Suburb, Zuhar, Rumaithiya, Abdullah Port, Nahdha, Rai, Jabir al-Ahmad City, Nuwaiseeb, Salhiya, Shamiya and more. Hope that helps to get free shipping to Kuwait. Any questions about buying, shipping, deliveries on Souq? I’m more than happy to discuss these topics in the comments. Also ometimes these posts, guides, etc. have links known as affiliate links which can return monetary benefit to the author, supporting the blog. These transactions are monitored through cookies which you may voluntarily keep. Big thank you for your visit and read! David.